The looks are in for Spring/Summer 2013 from J. Hilburn and we are in love. From the classic tuxedo and bow tie for the big day to the more casual sport coat and pants for the rehearsal dinner, you’re sure to find a look your hubby-to-be will love! We sat down with J. Hilburn style consultant Kim Barnes to get the inside scoop on dressing the groom for your perfect wedding weekend. Check out our Q&A below and contact Kim Barnes to set up your consultation today! And as a special Father’s Day Deal, J. Hilburn is offering a $100 gift card for just $75 through the 15th! What is the most popular look/trend for the groom? The looks for today’s grooms have become much more personalized. It’s their day, too and how they feel and look reflect who they are. Most popular trend for the groom has been to add special personal features that promote his personality. Whether he’s wearing a tuxedo and his grandfather’s cuff links or a cotton suit and crazy socks to add his cheeky humor, it all works! Creating his style to match his personality is key. What advice do you have for grooms when selecting their wedding day attire? What is he going to be comfortable wearing? Has he visualized how he’s going to look? Are there pictures he’s seen that depict his style? I will also have pictures on hand and welcome the bride to be a part of the process. Fabric swatches can also be provided so the decision for color and texture can be made. This is where the groom can define his star appearance. 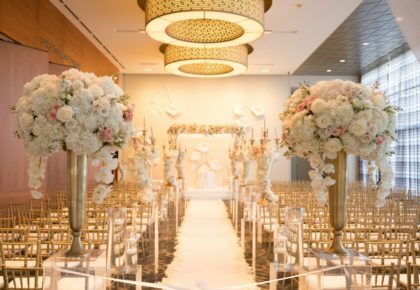 Not all eyes are on her as she walks toward him down the aisle! It’s the last time he’s seen without her by his side. He’s THE guy! A fitted look that shows he’s worked hard to look his best is key. What will show off his style? Midnight blue tuxedo? Linen suit for an outdoor beach setting? It’s also the finishing touches of the tie; lapel flair, shoes, socks, and even his grooming is an important decision for the day. Plenty of rest, a massage, or steam that day can really add a healthy glow! What are the benefits of getting a custom suit or tuxedo over renting attire? Prom days are over. Time to cross the threshold into owning his own style. A better fitting suit or tuxedo for his page-turning event is a wise investment. While he’s vowing to love and cherish, vowing to never rent clothes that someone else has worn should go without saying. Better fitting doesn’t mean expensive. A tailored suit or tuxedo is between $700-$1000. Renting a tuxedo is $200-$500 every time. So, when he attends events in the future that call for formal wear he’ll feel good that his is in his closet and now a permanent part of his wardrobe. It may even inspire him to attend events that are more formal! Tell us about the process. 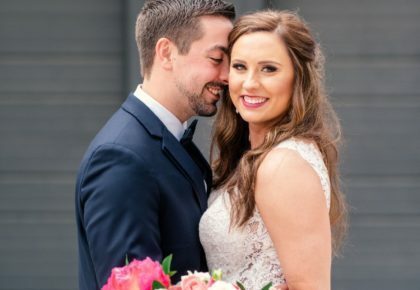 What grooms can expect when selecting custom suiting for their wedding day and/or wedding weekend? The process typically takes two consultations and can be done at a location of his choice. For one of my client’s first visits, he had his groomsmen over to his house to relax, have a few beers, and watch the football game. During the first visit, we decide on fabrics and fit, and measurements are taken. The garments will arrive in approximately four weeks. The next visit is the “big reveal” and assuring the clothes fit properly. The most important thing for me when fitting a client, other than taking accurate measurements, is to get an idea of how the client wants to look. 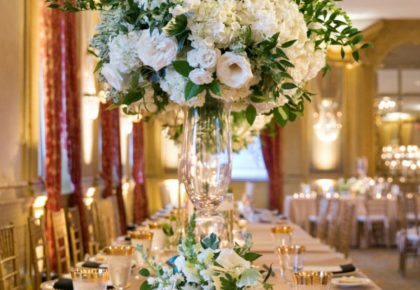 We gear the first visit toward building a “wish list” while making it fun and easy to choose the fabrics that best fit the weather, color palette, and tone of the wedding event. What factors does a groom need to consider when pulling together their look? What time of day/year is the wedding? Will he and his bride be making the decisions together about the wedding attire? Will he be losing or gaining weight? Is the event going to be formal? Will it be a beach or destination wedding? What is the budget for the wedding attire? Consider the suit/tuxedo/shirt will take 3-5 weeks with 2 consultations. What trends are you noticing in groom fashion? Grooms have really engaged in the process! They have upped their fashion IQ and quietly and confidently become an equal partner in the planning of what they’ll be wearing. Love seeing the new trends! The fit of any attire is so important as to how the groom feels and looks. 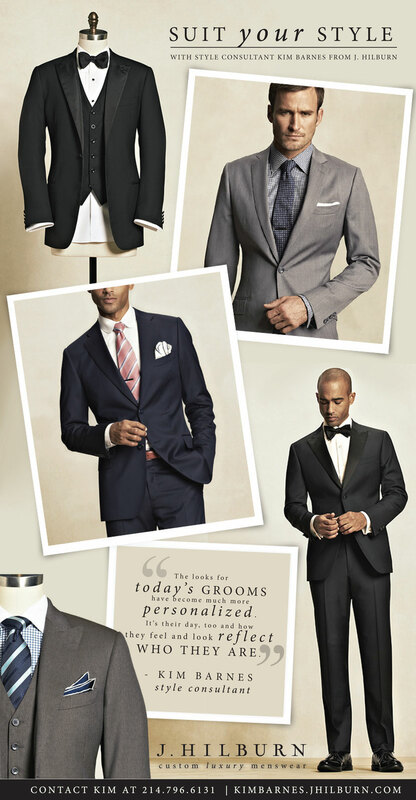 Suits have been very popular with grooms and groomsmen. Grey has been the predominant color of choice and anywhere from a lighter glen plaid grey, Mad Men style, to a rich charcoal herringbone, Tom Hardy style. The one button jacket has taken on a new spotlight as a fashionable but practical option. I’ve seen this jacket repeated after the event with jeans or a colored 5-pocket pant. How do you incorporate the wedding colors into the groom’s attire? This is the fun part! A great tie, fun socks, cuff links, and even a custom shirt can complement the wedding colors. The lapel flair can be a flower or even something personal like a key with a colored ribbon that I saw recently. I also saw a fly fishing lure that looked amazing on one groom’s lapel.